Create your very own wildlife TV channel with one of our top quality Gardenature Camera Bird Boxes. Watch live HD footage on your smart phone or tablet anywhere, anytime! Suitable for use with any of our camera ready bird boxes or mammal habitats. Feeding the birds and wildlife in your garden is a great way to help nature and establish regular garden visitors. Here you will find a selection of high quality garden Bird Boxes, Bat Boxes, Bee Hive and Insects hotels. Gardenature is Europe's No 1 manufacturer and supplier of high quality products designed specifically for watching all forms of wildlife, whether it is in the domestic garden, out in the wild, or any other natural habitat. With a growing and already comprehensive range of high quality products the gardenature website offers an ever increasing range of products and support for the wildlife enthusiast. We hope that you enjoy your visit and we look forward to helping you with any enquiries. Gardenature bird box camera systems are built to primarily give the birds a comfortable home but also to bring you and your family closer towildlife through hours of fun and entertainment. 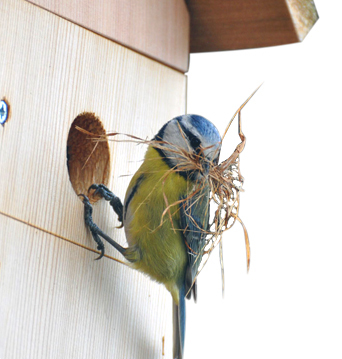 Hand made and assembled at our UK workshop our camera nest boxes are widely sold and used throughout Europe in both domestic and commercial applications. We are very proud of our gardenature brand and we want you to enjoy and appreciate your camera nest box investment for many years to come. Please take a few moments to sit back and watch this small selection of customer videos that we have put together for you to sample before you buy!.. Nest Box and Bird Feeders with cameras installed make the ideal way to get closer to the wildlife in your garden. We manufacture and supply a wide range of nestbox camera systems, bird feeder cams, bird tables, wildlife cameras and general wildlife watching products to customers all over the world. Your order will arrive ready assembled for you to easily create your very own wildlife TV channel broadcasting live from your garden, to the comfort of your armchair. Educational and hours of fun for any age group! Getting closer to wildlife takes patience and a little luck, but setting up the right photography hide can dramatically improve your wildlife watching experience. Gardenature supplies a growing range of wildlife photographers hides, in various sizes shapes and camouflage. Staying camouflaged and comfortable in your bird watching hide is at the heart of wildlife photography so we offer a fantastic diversity of photography hide chairs, camo pattern stools, Camo nets and various camouflage meshes to help you blend in to the surroundings. if you're serious about getting closer to wildlife choose a photography hide from Gardenature. In this section you will find a range of Garden and Commercial Leisure Furniture. We have ensured that each item offers you quality high grade materials, manufactured in the UK to withstand the UK weather. Value for money means durable and long lasting products backed by a good warranty and an enviable reputation. Whether from a photography hide, or just as an accessory for your wildlife walks, a pair of binoculars is a great way to get a closer look at shy birds and skittish animals such as deer. Here we have a growing range of bird tables, Feeders and bird baths to delight you and the birds visiting your garden. It is just as important to provide water as it is to provide bird food, most especially in winter months. Bird watching in your own back garden is an interesting and easy way to learn more about bird species, their behaviour and marvel at their rewarding colours.